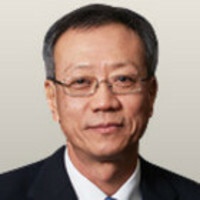 Mr. Ong Choo Guan was appointed Chief Executive Officer of SGX-listed Viking Offshore and Marine on 15 January 2010, and appointed its Executive Director on 16 April 2010. With more than 30 years of management experience in the offshore and marine industry, Mr Ong has been instrumental in driving the growth of Viking Airtech Pte Ltd – now a subsidiary of the listed company – since its incorporation in 1994. Prior to joining Viking Engineering Group in 1980 where he was General Manager, Mr. Ong was with Jurong Shipyard as the Overall-in-charge Engineer for mechanical works on board the vessels. He is a Mechanical Engineer by profession and received various training in Finance and Accounting, and Marketing Management.